Days after making this statement, Archbishop Romero – Saint Oscar Romero – was killed by the Salvadoran national police. When Pope Francis declared Archbishop Romero a martyr, he simply confirmed what many already believed and professed: Romero lived and died for his faith. Archbishop Romero lived for a simple yet profound purpose. Where he saw injustice and human suffering, he sought to end it. Called by his faith and the example of Christ, he put himself directly between the oppressors and those who were suffering. He lived his final years knowing that his passionate defense of the poor and voiceless would make him a target for assassination by the powerful ruling class. Romero’s hope to the threats he faced was the knowledge that his spirit would rise again in the Salvadoran People should he be struck down. For the countless who have been moved by his sacrifice, we know his prayer has undoubtedly been answered. His defense of the poor and marginalized has been a source of strength and inspiration to the people of El Salvador for decades. His spirit has undoubtedly risen again in the Salvadoran people but also in the hearts of all those who live under oppression and fear. I wonder if Romero could have foreseen how far and wide his people would stretch. Could he have known that his people would travel the world to witness to the deep and abiding faith of the Salvadoran people? Could he have foreseen that dozens of delegations – students, faculty, and staff – from the University of Scranton would count themselves as his people? Did he have any indication that we, his people, would be so inspired by his life and faithful outreach to the poor and oppressed that we would return to our homes, our communities, and this University forever changed by the example he gave? As we celebrate the canonization of Saint Oscar Romero, let us call to mind how this man, this saint, inspired us to look at our lives and our work with a renewed sense of faith and service. Let us call to mind our experiences of faith and love in El Salvador, how we were welcomed and invited to share what his people experienced. And let us renew our commitment to work with the oppressed and marginalized – to stand between injustice and those whose lives are affected by it. Let the life of Saint Oscar Romero speak to us and bring us to live as instruments of sacrifice, dedication, and faith. 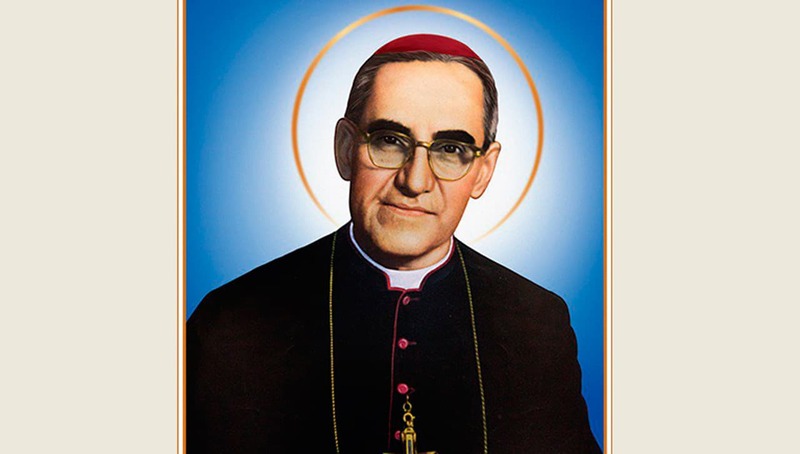 St. Romero of the Americas, pray for us.